We mourn the passing of Tom Kirsch, after a long and courageous battle with terminal illness. "This book is aptly titled. Thomas Kirsch writes not only a fine autobiography but also a fascinating profile of Jungian life in the last several decades. 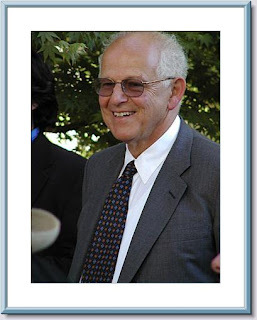 Thomas was the son of two psychoanalysts, disciples of Carl Jung. 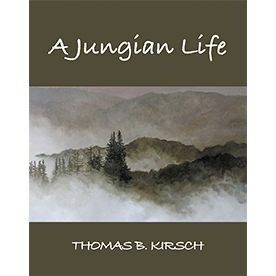 Thomas's father knew Jung well in Europe before fleeing from Nazi Germany and coming to California, where he and Thomas's mother practiced for many years. The younger Kirsch followed in the footsteps of his parents and became a highly influential scholar and leader of The International Association for Analytical Psychology for many years. His life story is both a personal tale and a wide sweeping panorama of Jungian thought." 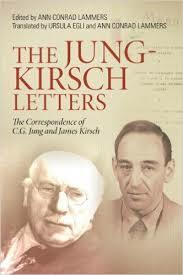 "Overall, this correspondence is of immense importance to the history of the Jungian movement. Neumann was considered by many, but by no means all, especially in Jung’s inner circle in Zurich in the 1940s, to be Jung’s intellectual and spiritual son. 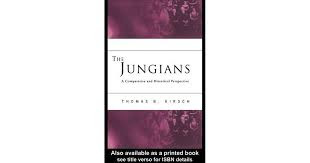 Jung certainly implies as much in his foreword to The Origins and History of Consciousness (1949/1954), where he writes, “he arrives at conclusions that are among the most important ever to be reached in this field.” In an interview recently available from the Library of Congress in the United States in which Kurt Eissler interviewed Jung on Freud in 1953, Jung discusses the difficulty of being a leading figure but then having a student continuing in a creative way one’s most important thoughts. Jung thought that he was doing that with Freud’s ideas of “archaic vestiges” into archetypes. Freud could not accept that. Jung has the same feeling about Neumann furthering his work. It is not easy when a student makes a real contribution to one’s own most cherished work, but Jung says, “I have a very talented student, Neumann, in . . . Tel Aviv. He is truly a significant person! And, he took hold of some of my material and did something with it. You know, when one is overtaken in this manner, it is not easy for someone who has been in front.” High praise, indeed! On a personal note, when Erich Neumann was still in Berlin, my favorite aunt was engaged to his older brother Franz, before marrying my favorite Uncle Walter, my mother’s older brother. This is another piece of evidence that the German Jews in Berlin were quite involved with each other. People may be interested to know that my parents always read Neumann, and I never heard a bad word about him at home! My mother read him avidly, and so did my dad. I have often wondered what my life would have been had my parents stayed in Palestine in 1935. I could have been a Sabra. Hebrew would be my mother tongue. What would I be saying today, at this conference, about Erich Neumann? A path not taken." Only a month or so ago I watched the magnificent video interview between Murray Stein and Tom Kirsch, filmed in Jung's home in Kusnacht. It was a gift in that I got to feel as though I spent some intimate time getting to know him before he passed away.